North Carolina OIG Exclusion Database: Down, but not done. 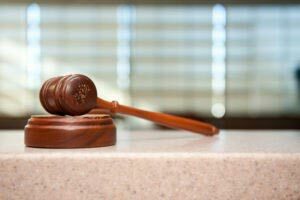 Is the OIG getting even tougher? What that means is that an employer can be subject to additional, intensive scrutiny, simply because he or one of his constituents was included in a grant proposal. This program is being put into place for the first time in 2015, in addition to the OIG’s already-existing watchdog methods…which have made life complicated enough already. 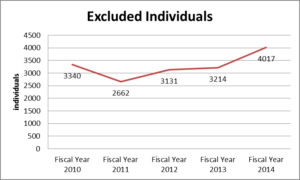 On an individual level, the OIG has upped its levels of excluded individuals significantly over the course of the past two years. 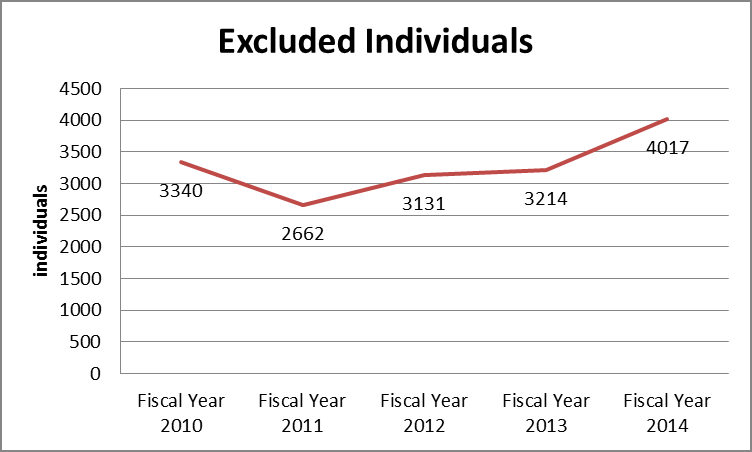 Of approximately 60,000 excluded individuals, more than 6% were added to the exclusion list during this past year. And the numbers of newly-excluded individuals just keep going up. So, is the crackdown on excluded individuals getting worse? Sure. Should employers be worried about it? Well, that all depends on what kind of steps they’ve taken to make sure that they’re always protected.